When looking at my portfolio, one thing that stands out is the lack of exposure to the healthcare sector. I don't necessarily aim for certain sector allocations within my FI Portfolio; however, I'm very bullish on the sector and would like to increase my exposure there. There's no denying that the healthcare sector is facing massive tailwinds with the "Baby Boomer" generation retiring daily. According to a 2014 report from the Census Bureau, the U.S. population of those 65+ is expected to nearly double between by 2050. The bulk of that growth is expected by 2035. Given the demographic trends and vital nature of the healthcare industry, I've been looking for companies that fall into the sector and also fit my desire of being excellent dividend growth companies. 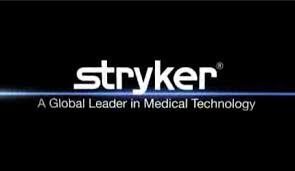 Stryker Corporation (NYSE:SYK) is one such company that has grown dividends for 23 consecutive years. Every $1 invested in Stryker Corporation 25 years ago is worth $55.83 today. That's 17.4% annualized growth. Historically Stryker has delivered excellent returns for investors and I expect that to continue moving forward. However, valuation is key to determining future returns, so I wanted to look at the current valuation for shares of Stryker and the future return prospects over the next 3 years. Continue reading the Stryker Corporation Valuation Analysis on Seeking Alpha. To view more of my analyses check out my Stock Analysis page or in the following Google Sheet. Nice analysis, PIP! I recently transferred PFE to my DivGro portfolio. Perhaps worth the look if you're interested in more Health Care exposure. Take care! I'm not as big of a fan of the pure play drug companies mainly due to the patent issues. However, they definitely have great potential for excellent investments because of the rather captive audiences they have. Plus it only takes a couple extremely popular drugs that can make the company and propel it into the stratosphere.